Do you have a great investment strategy? The following is a guest post by Joseph Hogue, CFA is an investment analyst and blogger. Joseph runs the blogs My Stock Market Basics and Peer Finance 101. If you’d like to submit a guest post on Money Q&A, please check out the site’s guest posting guidelines. Motif Investing offers a low-cost way to put your investment strategy together to meet your return goals. I loved Hank’s list post on ten ways to earn a great rate of return on your investments. The post offers some great ideas for investing including stocks, real estate and bonds that can make 10%+ on your investment. I thought I would combine some of the ideas from the post with my favorite investing tool to show you how you can put it all together in a simple investing strategy. Not only will this simple strategy help you invest across some of the most important asset classes but it’s also a low-cost choice and can help reduce the risk around investing. But first, a little about the investing tool that makes it all possible. Motif Investing is an online investing website allowing investors to group up to 30 stocks and exchange traded funds (ETFs) into one fund and then buy the entire group with one trade. Compared to other discount brokers, it can save you a lot of money investing. Consider investing in 30 stocks on any other website would cost $300 or more. Investing in that same group on Motif would cost $10 with one trade. Beyond saving money investing, Motif offers a way to put together your entire investing strategy in one simple investment. You choose a combination of 30 stocks and ETFs that include asset classes like stocks, bonds, and real estate. You can customize the fund to buy more of some stocks and less of others each time you invest more money. Instead of getting caught up in the ups-and-downs of one particular stock, panic-selling when the market tumbles, your investment fund rises more smoothly over time since it’s diversified across asset classes. Learn more about MotifInvesting.com . I created four funds on Motif Investing in which I invest, all focused on a specific investing strategy, but you can get everything you need with just one group of investments. Figure out how much of your portfolio you want in the different asset classes, i.e. stocks, bonds, and real estate. Younger investors may want to hold more in stocks, as much as 70% of their portfolio, while older investors will want more bonds. Browse through the funds (called motifs) created by other investors for ideas on which stocks to invest in and different ETFs. There are more than 12,000 motifs in 10+ categories from green investing, dividends, bonds and more. Pick a combination of 30 stocks and ETFs for your fund. Investing in a few ETFs will give you broad exposure to an asset class, especially bonds where individual stocks are not available. Investing in REITs will give you broad access to real estate investments. Customize the amount you invest in each stock, REIT or ETF to match your investment plan. Buy the entire group with just one trade. There’s no minimum to open an account on Motif but you will need $300 to create and invest in your fund. Make deposits into your account each month but you can hold off to invest once a quarter. You’ll be able to invest in the same group of investments each time and pay just $40 a year in trading fees, that’s a huge saving on the $1,200 it would cost to buy the same group each quarter on another website. One of the only investments left out on Motif Investing is one of mine and Hank’s favorite new asset classes, peer to peer investing. P2P investing is similar to investing in corporate or government bonds but the loans are to individuals. 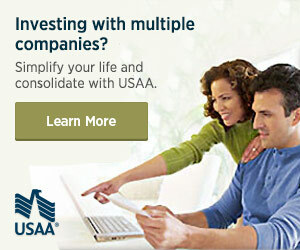 They provide monthly cash flow and great diversification when combined with a stock and bond portfolio. I have 15% of my portfolio invested in peer loans to complement my stock/bond portfolio on Motif. Motif Investing offers one of the best investing tools I’ve seen in more than a decade as an investment analyst. The site provides a simple, low-cost solution to investing in multiple stocks and funds across different asset classes. Consider combining a diversified investment strategy on Motif with a portfolio of peer loans to meet your long-term return goals.